Actor de reparto: Mahershala Ali, "Green Book"; Sam Elliott, "A Star Is Born"; Adam Driver, "BlacKkKlansman"; Richard E. Grant, "Can You Ever Forgive Me? "; Sam Rockwell, "Vice". Actriz de reparto: Amy Adams, "Vice"; Marina de Tavira, "Roma"; Regina King, "If Beale Street Could Talk"; Emma Stone, "The Favourite"; Rachel Weisz, "The Favourite". Película en lengua extranjera: "Never Look Away" (Alemania); "Shoplifters" (Japón); "Capernaum" (Líbano); "Roma" (México); "Cold War" (Polonia). Guion adaptado: "The Ballad of Buster Scruggs", Joel Coen y Ethan Coen; "BlacKkKlansman", Charlie Wachtel, David Rabinowitz, Kevin Willmott y Spike Lee; "Can You Ever Forgive Me? 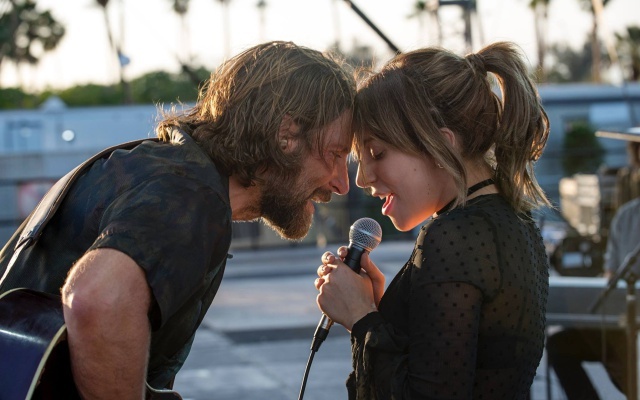 ", Nicole Holofcener y Jeff Whitty; "If Beale Street Could Talk", Barry Jenkins; "A Star Is Born", Eric Roth, Bradley Cooper y Will Fetters. Guion original: "The Favourite", Deborah Davis y Tony McNamara; "First Reformed", Paul Schrader; "Green Book", Nick Vallelonga, Brian Currie y Peter Farrelly ; "Roma", Alfonso Cuarón; "Vice" Adam McKay. Diseño de producción: "Black Panther", ''The Favourite", ''First Man", ''Mary Poppins Returns", ''Roma". Cinematografía: "Cold War", Lukasz Zal; "The Favourite", Robbie Ryan; "Never Look Away", Caleb Deschanel; "Roma", Alfonso Cuarón; "A Star Is Born", Matthew Libatique. Canción original: "When A Cowboy Trades His Spurs For Wings" de "The Ballad of Buster Scruggs", música y letra de David Rawlings y Gillian Welch; "All The Stars" de "Black Panther", música de Mark Spears, Kendrick Lamar Duckworth, Anthony Tiffith, letra de Kendrick Lamar Duckworth, Anthony Tiffith y Solana Rowe; "I'll Fight" de "RBG", música y letra de Diane Warren; "The Place Where Lost Things Go" de "Mary Poppins Returns", música de Marc Shaiman, letra de Scott Wittman y Marc Shaiman; "Shallow" de "A Star Is Born", música y letra de Lady Gaga, Mark Ronson, Anthony Rossomando y Andrew Wyatt. Diseño de vestuario: "The Ballad of Buster Scriggs", Mary Zophres; "Black Panther", Ruth Carter; "The Favourite", Sandy Powell; "Mary Poppins Returns", Sandy Pwoell; "Mary Queen of Scots", Alexandra Byrne.